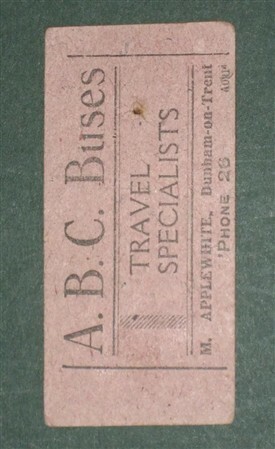 I wonder if anyone might be able to help with any information about ABC Bus Services of Dunham on Trent? I have encountered this operation as part of my family history research. 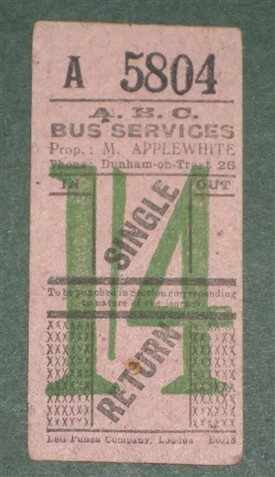 According to old bus tickets I have acquired the proprietors were variously M Applewhite, F B Applewhite and F F Applewhite. There is a telephone number Dunham on Trent 26. I also have 1950s pictures of Applewhite's coaches, one by Applewhite's Garage in Dunham on Trent (shown here). I have an idea from Applewhite's I have discovered who lived in Dunham who M and FB might be but cannot trace a candidate for FF. I'm struggling to find any information about ABC and have my fingers crossed that someone out there might be able to help. This page was added by Website Administrator on 26/09/2017. Hi Peter, I can't help personally about this bus company but I know a man who can! If you visit the Classic Bus magazine Website and or send them an e-mail you'll find the readers will have some knowledge of the company and you will get responses. When they published a letter of mine about Butler Bros in Kirkby-in-Ashfield it produced a short article and pictures. 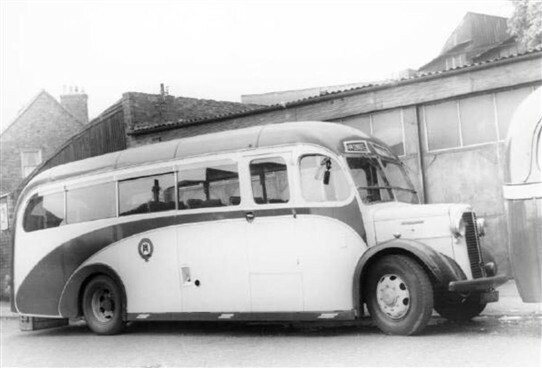 The current magazine has a photo of a bus from P J Clarke of Epperstone.